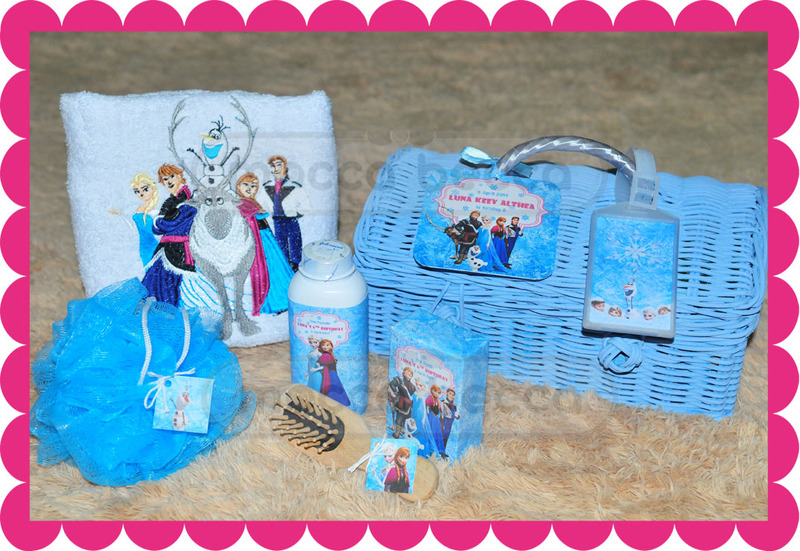 FROZEN theme for Luna’s birthday hampers. 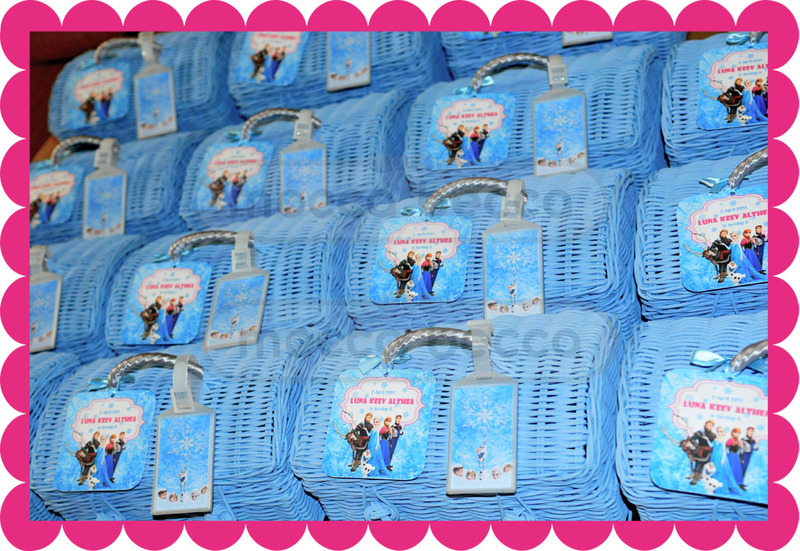 Ordered by mommy Marcel, with request in Frozen theme. 1 powder + 1 shower puff + 1 comb + 1 luggage tag.